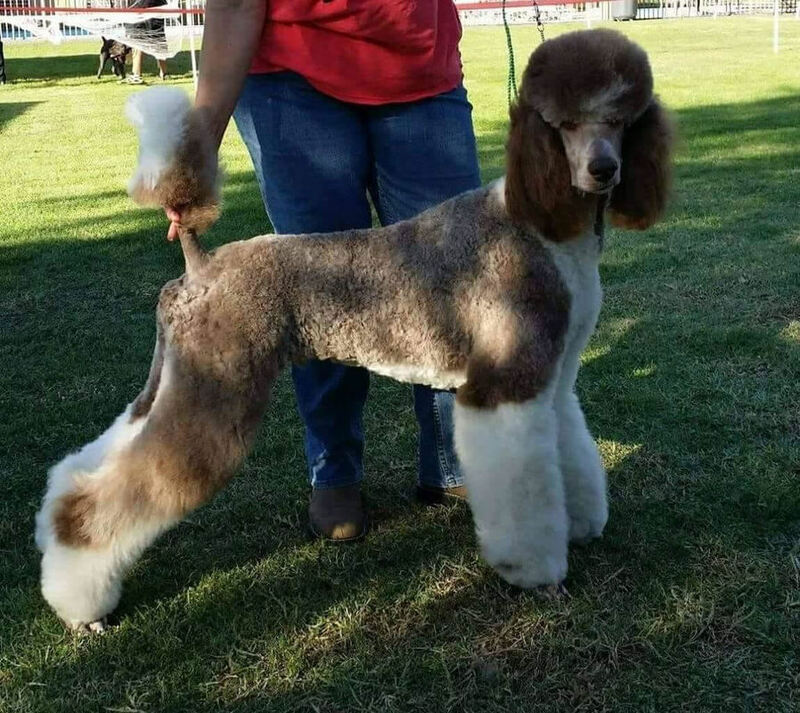 Winchester is a standard tri color poodle. He comes from healthy lines and has great confirmation. His sire is an AKC Grand Champion. With a confident, outgoing, charming prince temperament, he is a wonderful addition to our program. He throws pups with sweet temperaments and striking colors/markings.